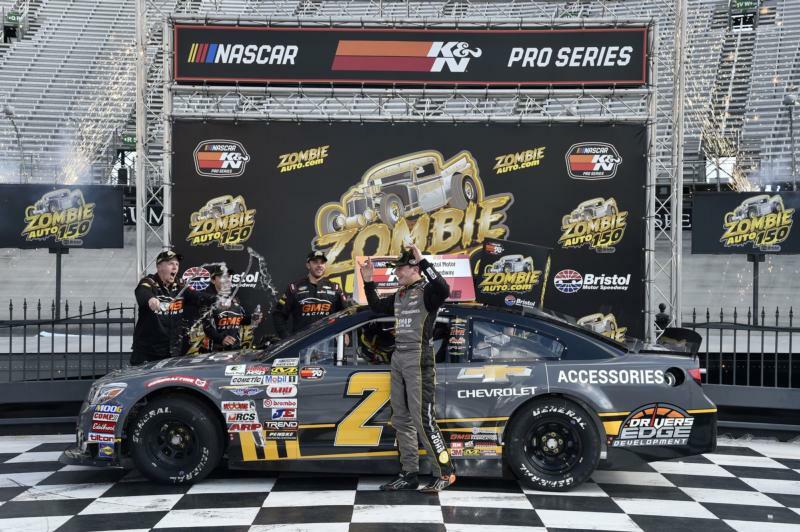 Sam Mayer doesn't have his driver's license yet, but after Saturday he does have a win at Bristol Motor Speedway. "Thunder Valley is one of the coolest places in the world, so to win here means a lot," Mayer said. "This is definitely something that will stick with me. We had a really good car today, obviously." "I definitely came out here wanting to win really bad," Mayer said. "I feel like we have a really good car and a car capable of winning, but I didn't expect it to be like this at all." By the time the final 50 laps came, Mayer had asserted himself as the heavy favorite, though Chase Cabre still had visions of tracking him. It didn't happen, as Mayer cruised to the victory by nearly four seconds, but Cabre still came away with plenty of positives in his No. 4 Toyota. "I thought we had the pace to run with him, but that last stage he turned up the wick," Cabre said. "By far this was the best run we've had at Bristol. To come out second is really strong for us. That third stage, he set a really good pace, but overall it was a good day for our team." Cabre tried to slip past Mayer on the final restart, but Mayer had an immediate answer and pulled away en route to the impressive victory. 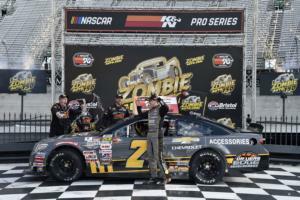 It proved to be a fitting finish to a brilliant weekend for Mayer, who admitted surprise over his team's dominance at Bristol. "The car just came to me right away and it never changed throughout the run, so it was really good," Mayer said. "I wasn't expecting this, but obviously it turned out really good."